Over 1.1 billion people in the world live in off-grid areas without electricity. The challenges presented by this lack of access are widespread: sustainable cooking, communication and access to information. These are only some of the issues that arise without sustainable and accessible electricity. For health workers traveling in off-grid areas, these challenges can be multiplied as communication and information are hampered and services impaired. How can Little Sun, a social enterprise, and the Little Sun Foundation, created by artist Olafur Eliasson and engineer Frederik Ottesen, address the need for affordable energy in a sustainable way that benefits off-grid communities by working with local entrepreneurs, deploying health workers and bolstering children’s education? In parallel, how can Little Sun raise awareness about the unequal distribution of energy at various platforms such as at climate and health summits with policymakers or at various festivals with diverse communities? We helped generate awareness-raising opportunities for Little Sun with new communities by connecting them to a global network of strategic partners and influencers. Art4Action facilitated relationships with the United Nations Foundation and its Sustainable Energy 4 All (SE4A) initiative, a global coalition of partners. We continue supporting the development of new collaborations at the intersection of sustainable energy and health. The Little Sun partnership with D-Tree International enables health workers in East Africa, in Zanzibar and Tanzania, access to high quality solar chargers for their mobile devices, allowing them to use their life-saving health apps in rural areas without electricity. 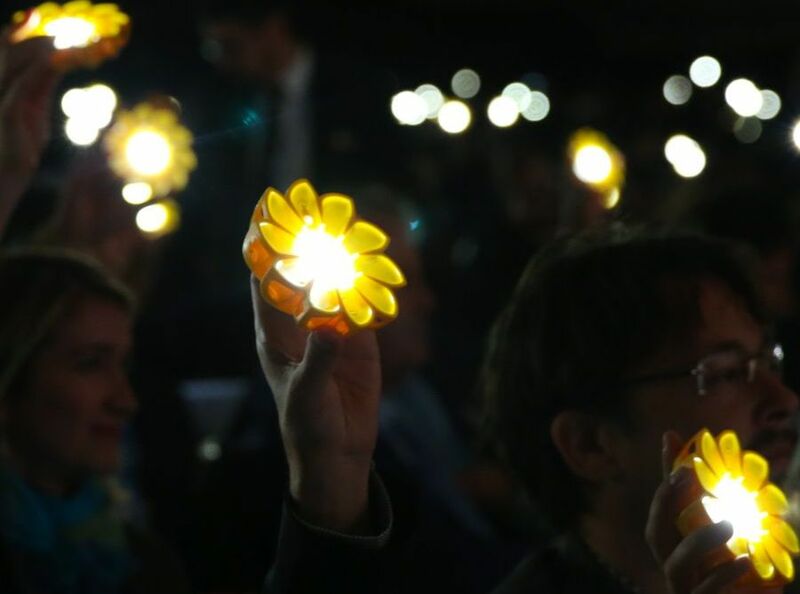 We are excited to continue building collective action with Little Sun, join us! Our actions have consequences for the world. Little Sun is a wedge that opens up the urgent discussion about bringing sustainable energy to all from the perspective of art to raise awareness about the unequal distribution of energy today.